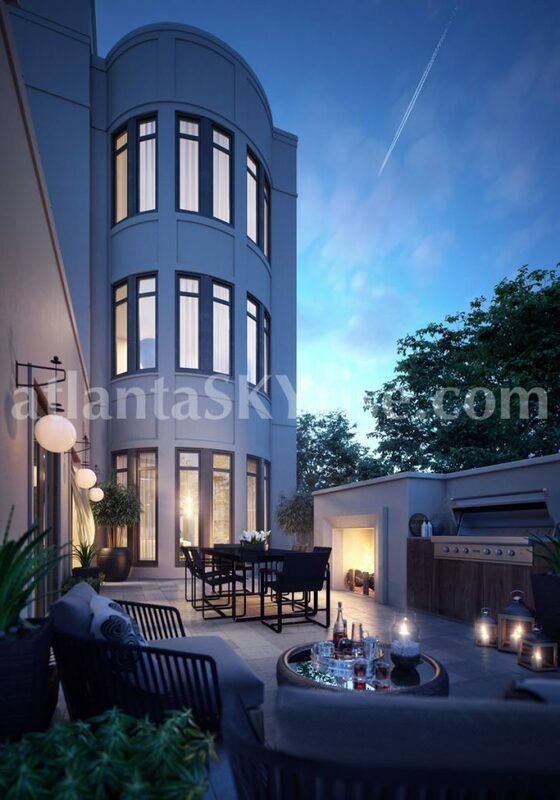 Do you want to live the life of luxury in a Buckhead condominium? We are now offering this stunning 40th floor condominium for lease, fully furnished with everything you need, down to the silverware. Located at highly desirable Sovereign condominium in Buckhead (Atlanta), this beautifully furnished 2-bedroom, 2.5 bath with separate den has everything you need to move right in. The interior was designed by Johnna Barrett Designs and the unit has been completed to perfection. Skyline views from the 40th floor are seen from each room through expansive floor-to-ceiling windows. The living room, dining room and kitchen blend seamlessly into one another in soft tones of blue, brown and grey. A triple-sided gas fireplace with gorgeous waved tile compliments the space. The dining room has ample, comfortable seating for 8 of your closest friends. The kitchen features a gas cooktop, vented stainless steel hood, Subzero fridge, double-stainless steel sink, microwave, oven, warming drawer and dishwasher. A large walk-in pantry is just steps away. A service entrance is located off the laundry room. A large master suite is located at the far end of the condo. A king sized bed with dual nightstands and built-in custom paneled headboard anchors the room on one side. The master en-suite bath features dual vanities, frameless glass shower with body sprayers, jetted tub and separate water closet. There is also a large walk-in closet with a custom closet system. Additionally there is one guest room with bath plus a separate den for watching your favorite movies. A home automation system is included as well. The outdoor, covered terrace is completely private. It has approximately 589 square feet of space with multiple seating areas. Enjoy the outdoor gas fireplace for those chilly Atlanta evenings. 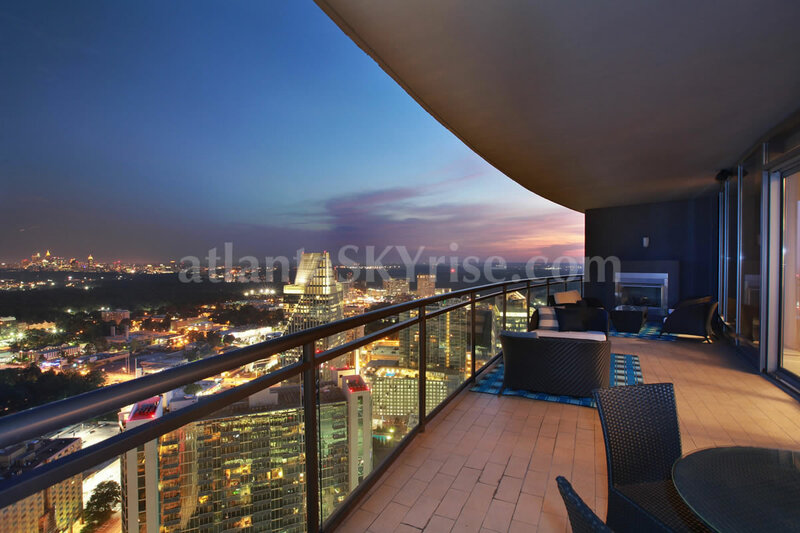 Stunning city views of Buckhead, Midtown and Downtown. Sovereign has spectacular amenities located on 28th and 29th floors. They include a salt water pool, hot tub with fireplace, 2 club rooms, a guest suite, fitness center, wine-cellar, media room, conference room and catering kitchen. The Buckhead Club is located in the building also. Marta is steps away to get you to the airport in no time and with no traffic. Numerous restaurants, shopping (Lenox Square & Phipps Plaza), grocery stores and everything you need are located at your doorstep, within walking distance from the building. Sovereign has on-site security, concierge and valet parking. Exclusively Listed by Kevin Grieco with Atlanta Fine Homes Sotheby’s International Realty. Available the beginning of November 1, 2017.